Marvell Technology Group, Limited, is a producer of storage, communications and consumer semiconductor products. The company was founded in 1995 and has approximately 7,000 employees. Marvell's U.S. operating headquarters is located in Santa Clara, California, and the company operates design centers in places including Canada, Europe, Israel, India, Singapore and China. Marvell is a "fabless" manufacturer of semiconductors (meaning that it is active entirely in core competencies of engineering and design, with the actual manufacturing outsourced to contract manufacturers in lower-cost emerging markets) that ships more than one billion integrated circuits (known as "chips") per year. Its market segments include the enterprise, cloud, automotive, industrial and consumer markets. Marvell was founded in 1995 by Sehat Sutardja, his wife Weili Dai, and brother Pantas Sutardja. The initial public offering on June 27, 2000 (near the end of the dot-com bubble) raised $90 million, with the stock listed on NASDAQ with the symbol MRVL. After quickly raising from $19 to over $63 per share, three days later it was $55.25. At the time, the five largest customers, Samsung Electronics, Hitachi, Seagate Technology, Fujitsu and Toshiba, accounted for 97% of sales. The shares dropped sharply in December when insiders were allowed to sell. The company is officially headquartered in Hamilton, Bermuda. The US operations known as Marvell Semiconductor, Incorporated, are located in Silicon Valley, California. Through the years, Marvell acquired smaller companies to enter new markets. Marvell's first products were sold for computer data storage devices. In March 2000, computer networking products for the Ethernet family were first shipped. In October 2002, the Yukon brand Gigabit Ethernet controller was announced. On June 27, 2006, the sale of Intel's XScale assets was announced. Intel agreed to sell the XScale business to Marvell for an estimated USD 600 million in cash and the assumption of unspecified liabilities. The acquisition was completed on November 9, 2006. In 2009, Marvell announced that the SheevaPlug, a small, low-power, SoC-based ARM architecture computer, would be released with full schematics. Marvell supplied the Wi-Fi chip for the original (first-generation) Apple iPhone. Marvell Mobile Hotspot (MMH) is an in-car Wi-Fi connectivity. The 2010 Audi A8 was the first automobile in the market to feature a factory-installed MMH. Google's Chromecast products are powered by Marvell SoCs. Namely the Marvell ARMADA 1500 Mini SoC (88DE3005) for the Chromecast 1st gen and Marvell ARMADA 1500 Mini Plus SoC (88DE3006) for the Chromecast 2nd gen & Chromecast audio. In 2012, Marvell was named one of Thomson Reuters top 100 global innovators. In 2006, the US Securities and Exchange Commission (SEC) started an inquiry on the company's stock option grant practices. An investigation determined "grant dates were chosen with the benefit of hindsight" to make the options more valuable. The press estimated that the founders and other executives had made $760 million in gains from the options, which were awarded by the founding couple, Sehat Sutardja and Weili Dai. The SEC asked to interview the company general counsel Matthew Gloss, but Marvell claimed attorney-client privilege. Gloss was fired just before the investigation results were announced in May 2007. Abraham David Sofaer was hired to investigate the investigation after Gloss alleged it was not independent. Marvell restated its financial results, and stated that Dai will no longer be executive vice president, chief operating officer, and a director but continue with the company in a non-management position. The company agreed to pay a $10 million fine in 2008, but did not fire Dai nor replace Sutardja as chairman as stated by the investigating committee. In December 2012, a Pittsburgh jury ruled that Marvell had infringed two patents (co-inventors Alek Kavcic and Jose Moura) by incorporating hard disk technology developed and owned by Carnegie Mellon University without a license. The technology, relating to improving hard disk data read accuracy at high speeds, was reported to have been used in 2.3 billion chips sold by Marvell between 2003 and 2012. The jury awarded damages of $1.17 billion, the third largest ever in a patent case at the time. The jury also found that the breach had been "willful", giving the judge discretion to award up to three times the original damage amount. In December 2012, the company lost its mistrial bid in this dispute. Post-trial hearings were scheduled for May 2013 and Marvell reported to be considering an appeal in the interim. In August, US District Judge Nora Barry Fischer upheld the award. On February 17, 2016, Marvell agreed to a settlement in which Marvell will pay Carnegie Mellon University $750,000,000. 1 2 3 "Marvell 2016 Fiscal Year Results". Marvell. Retrieved 25 August 2016. 1 2 Company. Marvell. Retrieved on 2013-12-09. ↑ "Sehat Sutardja: From radio boy to CEO". The Jakarta Post. 2011-06-16. Retrieved 2012-12-28. ↑ Suzanne Herel (June 6, 2011). "Meet the Boss: Weili Dai, Marvell Technology Group". San Francisco Chronicle. Retrieved August 24, 2013. ↑ Matthew Richards (July 30, 2000). "Two IPOs Wake Up Tech Sector". Forbes. Retrieved August 24, 2013. 1 2 3 "Prospectus: Marvell Technology Group Ltd". June 26, 2000. Retrieved August 24, 2013. ↑ "Marvell Technology's Shares Drop Sharply". December 27, 2000. Retrieved August 24, 2013. ↑ "Marvell to acquire LAN-chip supplier Galileo for $2.7 billion in stock". eetimes. 2000-10-17. Retrieved 2011-06-12. ↑ "Marvell Acquires SysKonnect GmbH for 10 Gbps Client-side Silicon". convergedigest.com. 2002-06-21. Retrieved 2011-06-12. ↑ "Marvell Acquires Radlan". edn.com. 2003-02-06. Retrieved 2011-06-12. ↑ "Marvell to Acquire the Hard Disk Drive Controller Business of QLogic". Marvell. 2005-08-29. Retrieved 2011-06-12. ↑ "Marvell acquires UTStarcom's SoC Division". evertiq.com. 2005-12-23. Retrieved 2011-06-12. ↑ "Marvell Acquires Avago's Printer ASICs Business". insidchips.com. December 2005. Retrieved 2011-06-12. ↑ "Marvell Technology Group acquires Avago for $240 million". dealipedia.com. 2006-02-20. Retrieved 2011-06-12. 1 2 "Marvell buys Intel's handheld processor unit for $600 million". Eet.com. 2006-06-27. Retrieved 2011-06-12. ↑ "PicoMobile Networks, Inc.". businessweek.com. January 2008. Retrieved 2011-06-12. ↑ "Marvell Acquires DS2 Technology". News release. Marvell. August 19, 2010. Retrieved August 24, 2013. ↑ "Marvell Introduces Feature-Rich Yukon Gigabit Ethernet Controller for Desktop Applications". News release. October 11, 2002. Retrieved August 24, 2013. ↑ Brown, Eric (2009-02-24). "$100 Linux wall-wart launches". linuxfordevices.com. Archived from the original on 2009-02-25. Retrieved 2011-06-12. ↑ "Documentation". Plugcomputer.org. Archived from the original on October 7, 2010. Retrieved 2011-02-10. ↑ Clark, Don (February 23, 2009). "Marvell Bets on 'Plug Computers'". The Wall Street Journal. Retrieved 2011-06-12. ↑ "Marvell Introduces Plug Computing - High-Performance, Low-Power, Exceptionally Small Computer for Managing and Storing Digital Media Assets". marvell.com. Retrieved 2011-06-12. ↑ "iPhone 1st Gen Teardown". Retrieved 2011-03-28. ↑ Wilson, Richard (August 10, 2010). "Marvell chip turns Audi A8 into Wi-Fi hotspot". ElectronicsWeekly.com. ↑ Google’s Chromecast 2 is Powered By Marvell’s ARMADA 1500 Mini Plus - Dual-Core Cortex-A7. www.anandtech.com. Retrieved on 2016-01-05. ↑ Top 100 Global Innovators | 2013 Winners. Top100innovators.com. Retrieved on 2013-12-09. ↑ Marvell Technology Group Limited (July 3, 2006). "Form 8-K". Securities and Exchange Commission. Retrieved August 24, 2013. 1 2 "Marvell Completes Independent Review of Stock Option Practices". Securities and Exchange Commission. May 7, 2007. Retrieved August 24, 2013. ↑ Edward Robinson (May 21, 2007). "Billionaires From Jakarta, Shanghai Undermined by U.S. Options". Bloomberg News. Retrieved August 24, 2013. ↑ Justin Scheck. "SEC Stumbles on Privilege Waivers". In-House Counsel. Archived from the original on February 26, 2009. Retrieved August 24, 2013. ↑ Alan Rappeport (May 8, 2007). "Marvell Fires General Counsel: Marvell's general counsel was fired before the release of the company's backdating report. The counsel's attorney denies any connection". CFO Magazine. Retrieved August 24, 2013. ↑ Alan Rappeport (May 7, 2007). "Marvell CFO Resigns amid Options Probe: Microchip maker discloses a pre-tax charge of as much as $350 million". CFO Magazine. Retrieved August 24, 2013. ↑ Zusha Elinson (May 9, 2008). "Marvell Technology to Pay $10 Million Fine Over Backdating". Law.Com. Retrieved August 24, 2013. 1 2 Mouawad, Jad (2012-12-26). "Jury Awards $1.17 Billion in Patent Suit". nytimes.com. Retrieved 2012-12-28. 1 2 "BBC News - Marvell faces huge patent fine over hard disk chips". bbc.co.uk. Retrieved 2012-12-28. ↑ Clark, Don (2012-12-26). "Jury Finds Marvell Owes $1.17 Billion in Patent Case - WSJ.com". Online.wsj.com. Retrieved 2012-12-28. ↑ "Marvell Loses Mistrial Bid In Carnegie Mellon Patent Row". December 21, 2012. Retrieved July 31, 2013. ↑ Vaughan, Bernard (August 23, 2013). "Judge upholds $1.17 billion patent verdict against Marvell". Reuters. Retrieved August 24, 2013. ↑ "Carnegie Mellon University and Marvell Technology Group Ltd. Reach Settlement". Carnegie Mellon University (Press release). 2016-02-17. Retrieved 2016-02-18. 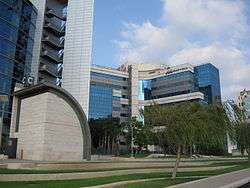 Wikimedia Commons has media related to Marvell Technology Group.